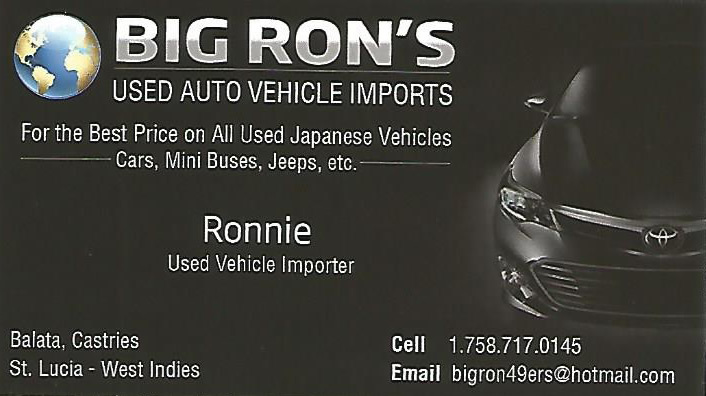 'For the best price on all used Japanese Vehicles including Cars, Mini Buses, SUV's ,Trucks etc. Contact BIG RON for reliable and efficient service. Vehicle importations are by special order.